City Street crews work hard to make streets, parking lots, parks, city sidewalks, and common areas safe for us all. This also is a time to remind property owners of their responsibility to maintain the public right of way, by clearing all sidewalks, within 24 hours of the last snow fall. Don’t forget fire hydrants, help keep them clear too, so firefighters can do their job without delay. 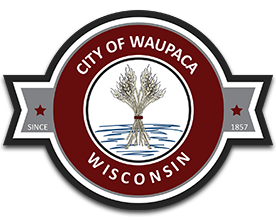 The following are snow removal regulations as stated in the Waupaca Municipal Code, Section 8.09. The owner or occupant of a lot or parcel abutting on a sidewalk within the City shall clear said sidewalk of snow and ice to the width of the sidewalk within 24 hours of the cessation of any snowfall. If ice forms so that it cannot be removed, such person shall keep the sidewalks sprinkled with a material which will reduce the risk to pedestrians of slipping and falling on such sidewalk. Snow not timely removed and ice not timely removed or sprinkled shall be deemed a public nuisance. In the event the owner or occupant fails to remove snow or ice in conformity with this section, the Director of Public Works may direct City employees to remove such snow and ice and charge the cost thereof as a special tax against the property. The cost shall be based on time, materials and overhead expense. The owner or lessee of every lot or parcel in the City shall not by himself or his agent push, plow or otherwise deposit snow from within his lot line onto the public street or alley. If you contract snow blowing or snow removal of your driveway or parking lot, please inform your snow removal contractor that it is a violation to push snow onto or across the City Right-of-Way, including drainage ditches. Any person who shall violate the above provisions shall be subject to a forfeiture of $50.00 plus court costs, totaling $200.50 as provided in Section 25.04 of the Municipal Code.